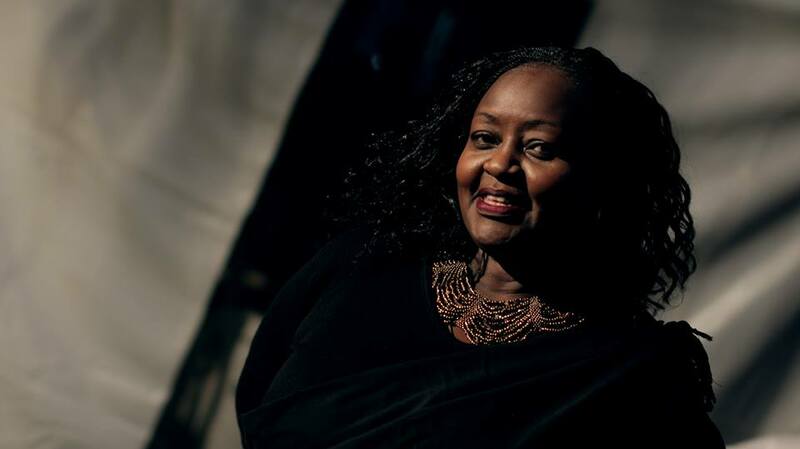 Achieng Abura is a musician from Kenya, who performs Afro-jazz, Afro-fusion and gospel music. She debuted with a gospel album I Believe around 1990. Her following albums were Way Over Yonder and Sulwe. In 2002, when she had shifted to Afro-jazz, she released albumMaisha. Later she released album Spirit Of a Warrior. Her latest album, titled Dhahabu Yangu was released in 2007 by Blu Zebra label,owned by Tedd Josiah. She Voice of Crow from Tinga Tinga Tales. Abura won Kora Award in 2004 for Best East African Female, the award was shared with Tsedenia Gebremarkos of Ethiopia. She is an UNDP Goodwill ambassador. She has toured abroad, for example Spain. She was part of the Divas of The Nile supergroup, that featured four Kenyan female musicians. The others were Suzzana Owiyo, Mercy Myra and Princess Jully. The group performed at the Festival Mundial in Tilburg, Netherlands in 2007. She was born in Eldoret. She hold a MSc. degree in Philosophy and Environmental studies. She has one child. Kenyan musician Abbi was formerly Abura's backing vocalist before he became prominent solo artist.